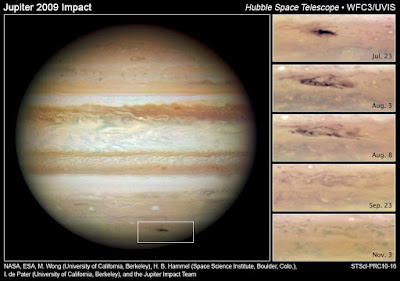 Nasa images confirm Jupiter impact!!! Following the alert by Australian amateur astronomer Anthony Wesley, professional astronomers have been able to confirm the impact nature of the new dark spot appeared on July 19th on the surface on Jupiter. See our previous post for more information about this event. "An impact would make a splash like a stone thrown into a pool, scattering material in the atmosphere upwards. 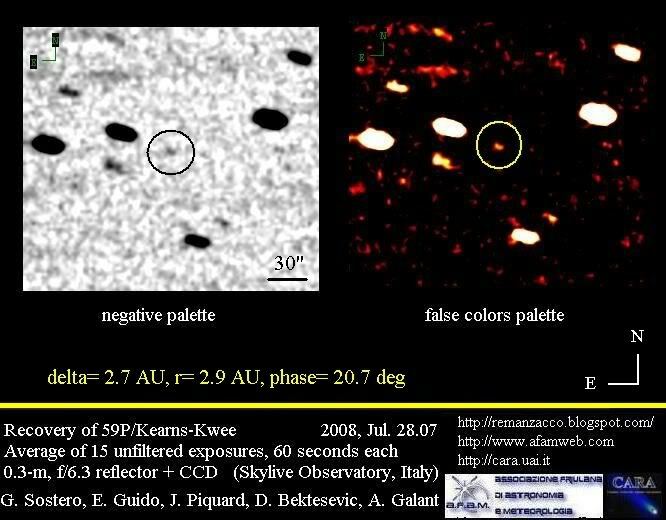 This material would then reflect sunlight, appearing as a bright spot at near-infrared wavelengths"
"Our first image showed a really bright object right where that black scar was, and immediately we knew this was an impact," astronomer Glenn Orton says. 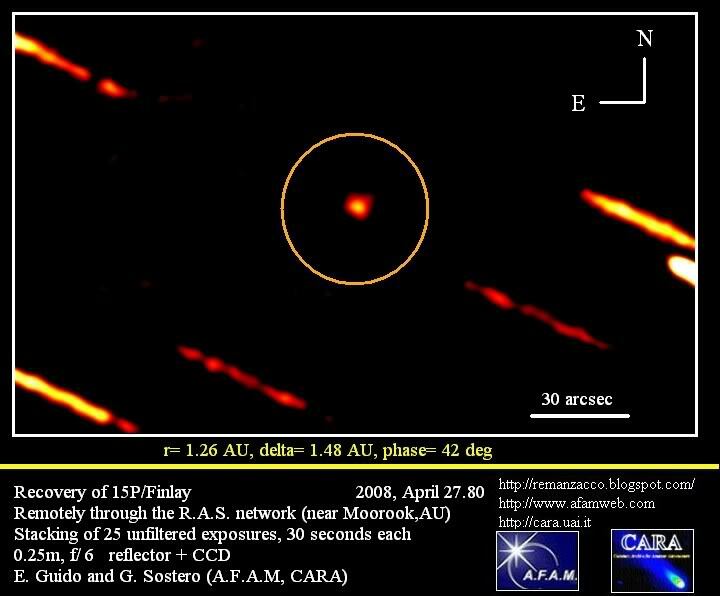 "There's no natural phenomenon that creates a black spot and bright particles like that." NASA's Hubble Space Telescope imaged the dark spot caused by the impact of a comet or an asteroid. 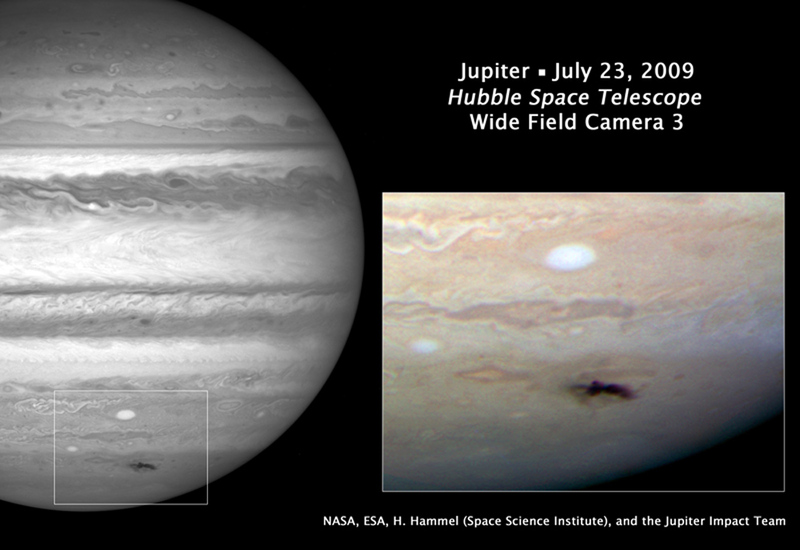 The first image is dated back to July 23, 2009. 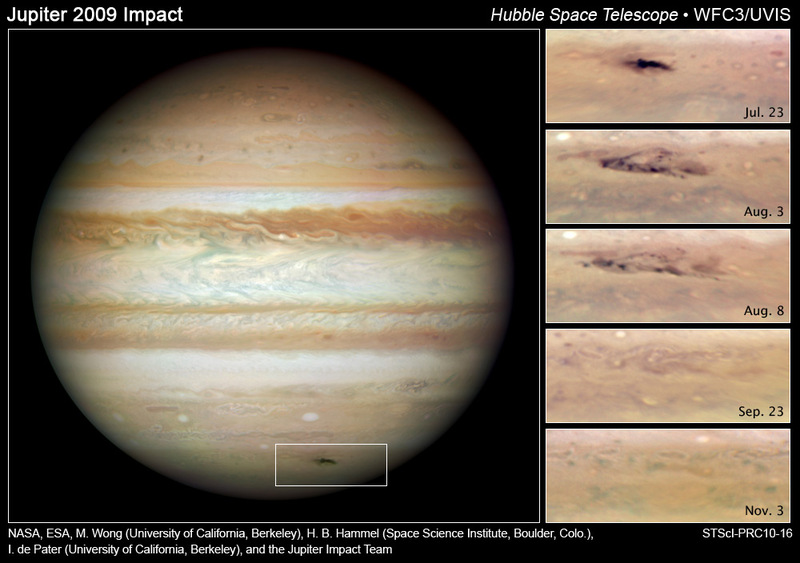 Other images taken in the following months showed how the dark spot changed day to day in the planet's cloud tops (click on the images below for a bigger version - Images Credit: NASA, ESA, and H. Hammel (Space Science Institute, Boulder, Colo.), and the Jupiter Impact Team). 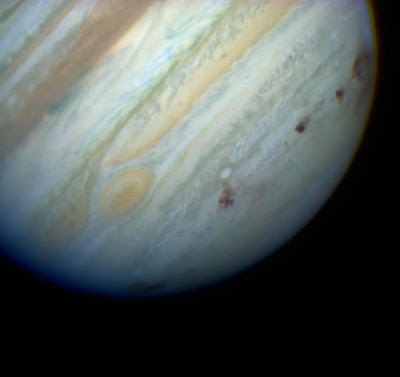 Starting from July 19, 2009 rumors appeared all over the astronomical internet community about a possible new impact on Jupiter. 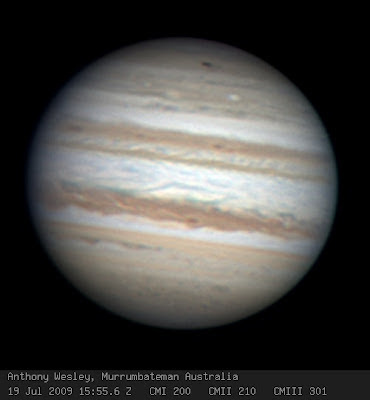 A new dark spot was just discovered by Australian amateur astronomer Anthony Wesley on Jupiter surface. He noticed it on his images taken with his 14.5" newtonian aroud 1300UTC of 19th July. 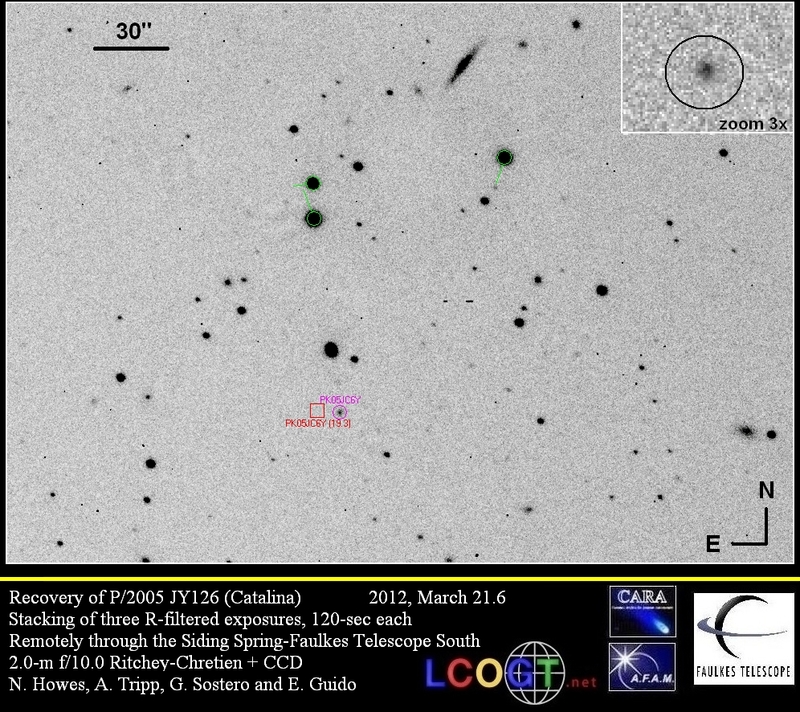 The same area was imaged by Wesley 2 days before and the dark spot wasn't there. 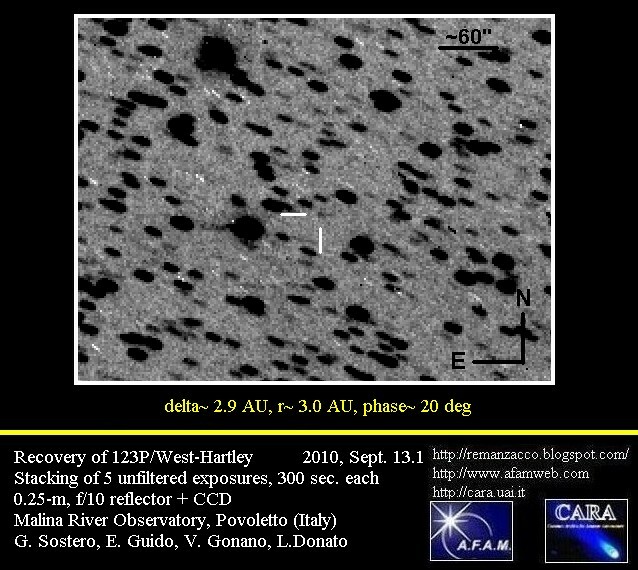 This new dark spot shares a strikingly resemblance with the impact marks made on Jupiter by comet Shoemaker-Levy 9 when it crashed into the giant planet in 1994 (just in these days is recurring the 15th anniversary of the impacts of the comet Shoemaker-Levy 9 fragments on Jupiter, dated 16-22 July 1994). After the announcement on Wesley website, other amateur astronomers have been able to confirm the dark spot. 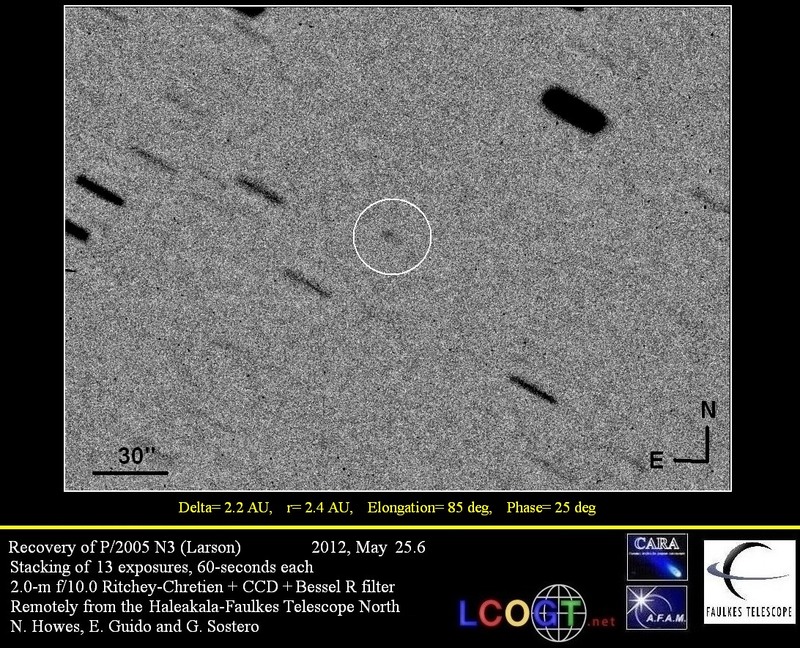 Anyway the shape alone of this dark spot, was not enough for the impact nature to be confirmed. 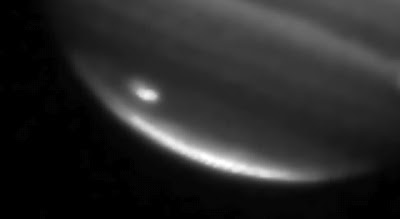 In favour of the impact hypothesis: the location of this new dark spot, near the Jupiter South Pole where usually storm activity is minor and the fact that the location was featureless in the images of 2 days earlier. 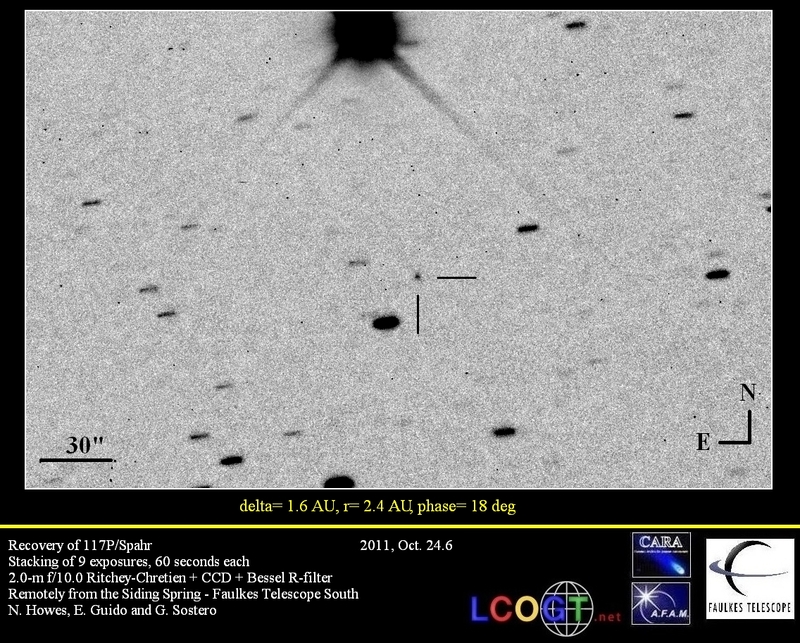 But a more resolutive proof is the Near-IR or methane-band imaging. Material from an impact should be stratospheric and hence should appear bright at these wavelengths. "We're now almost certain it's an impact event, extremely exciting!" 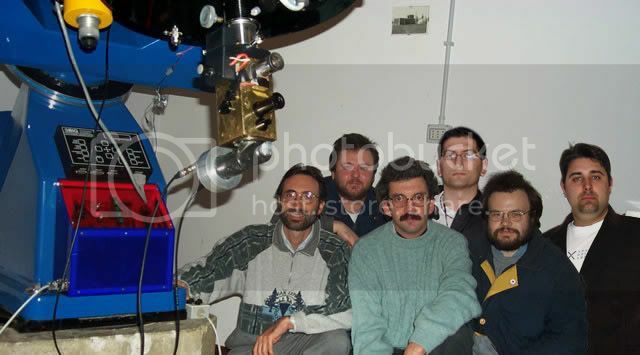 imaging with Spex, have acquired spectra. VERY bright feature!!" 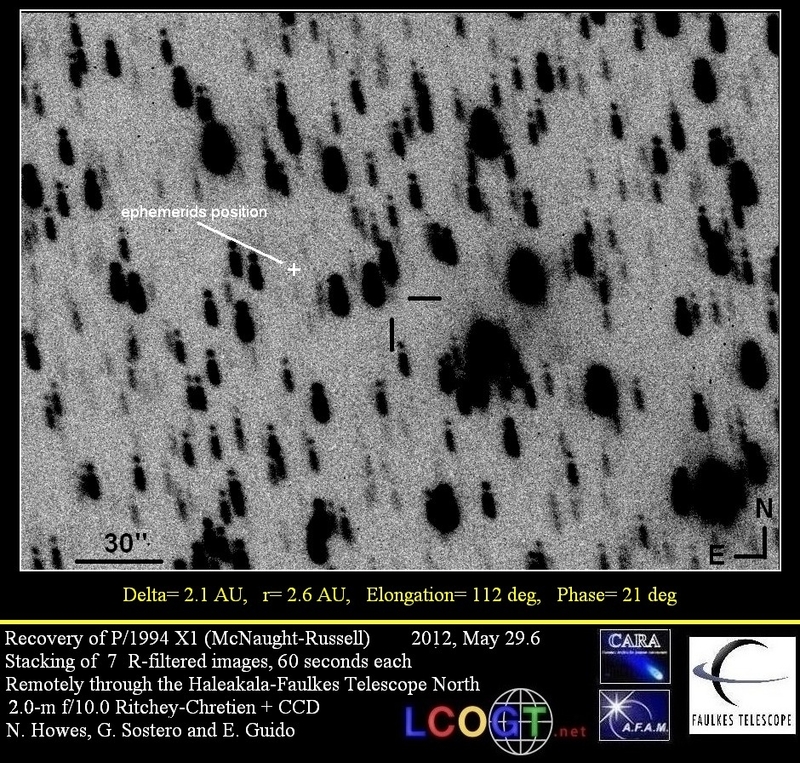 probing thermal characteristics of the impact location." "This has all the hallmarks of SL-9 in 1994 (15 years to the day!). 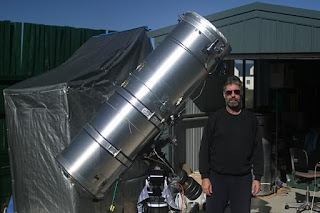 High altitude particulates, looks nothing like weather phenom"
"We observed Jupiter with the Keck telescope and its NIR camera and we confirm that the feature is unusual because of its brightness in the CH4 band. 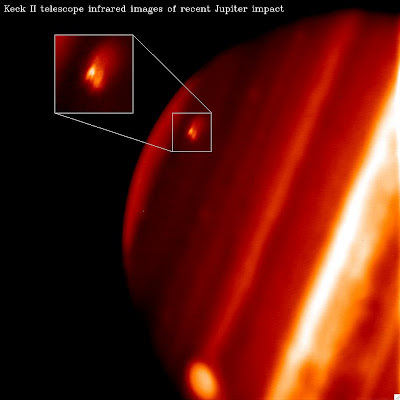 It is most likely a impact explosion in the upper atmosphere of Jupiter. 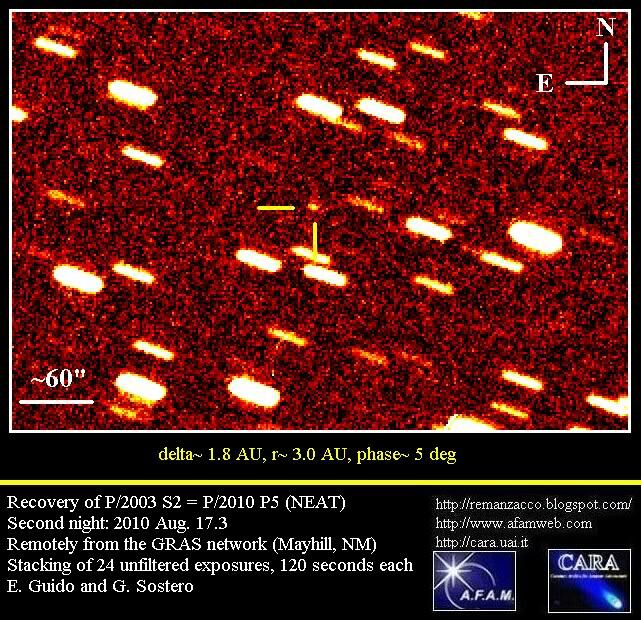 We are processing the data right now and will beginning the analysis"
"it is no surprise that if an asteroid or inert comet had hit Jupiter recently we might not know about it. 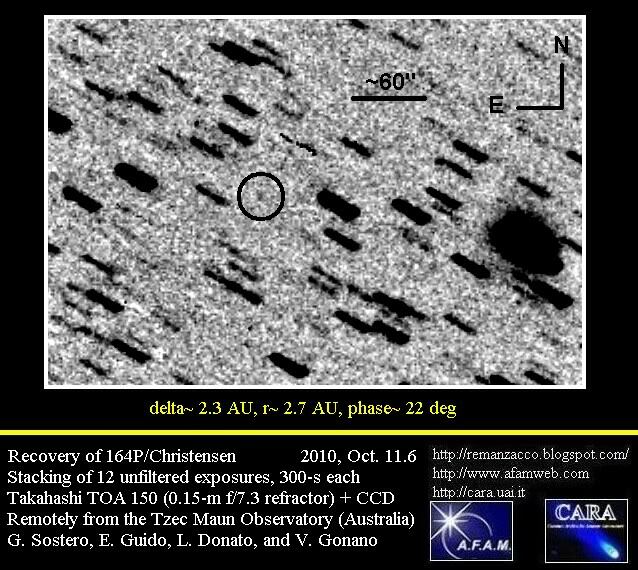 A 1-km diameter asteroid or inactive comet at that distance is roughly magnitude V=25 to 26 (100 thousand million times fainter than Jupiter itself), much too faint to pick up. 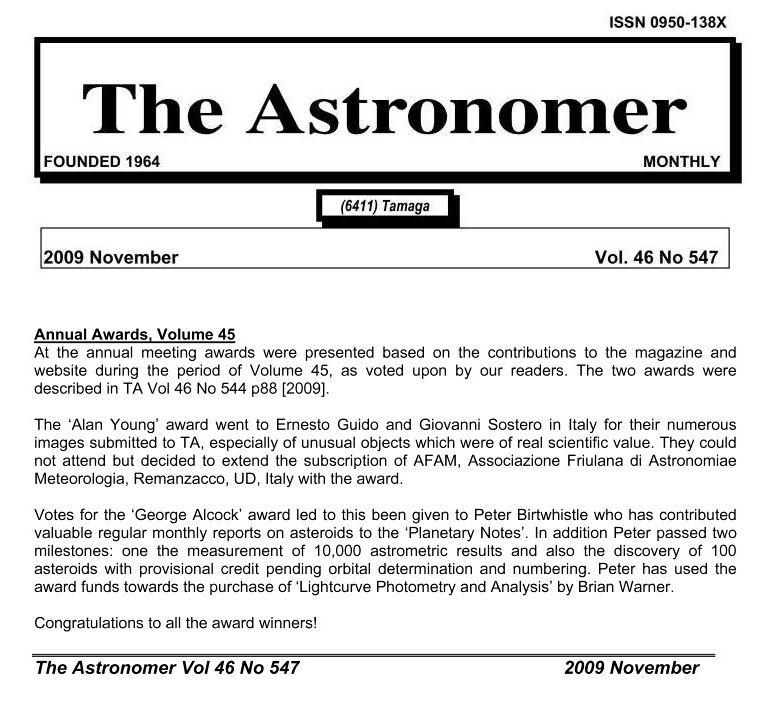 SL-9 was only found because it had activated through tidal disruption - we now know that it had probably been in orbit around Jupiter since the 1930’s, but no-one picked it up because of its faintness"
Congratulations to Anthony Wesley for his finding!! !